The German tactician, Klopp has further praised for churning out a very grand display in their mauling of the Portuguese team. Furthermore, the former Mainz gaffer has made a claim suggesting that his side “could have scored more” goals against Porto. And that is despite the massive 5-0 plastering which the Reds handed out to the sorry Portuguese Primeira Liga heavyweights. And that was in the last-16 first-leg clash between the two teams in the UEFA Champions League on Wednesday night. The Merseyside outfit came out as 5-0 victors at the Estadio do Dragao with winger, Sadio Mane netting three goals. Furthermore, the duo of forwards, Mohamed Salah and Roberto Firmino also hit the net once each for the Anfield giants. 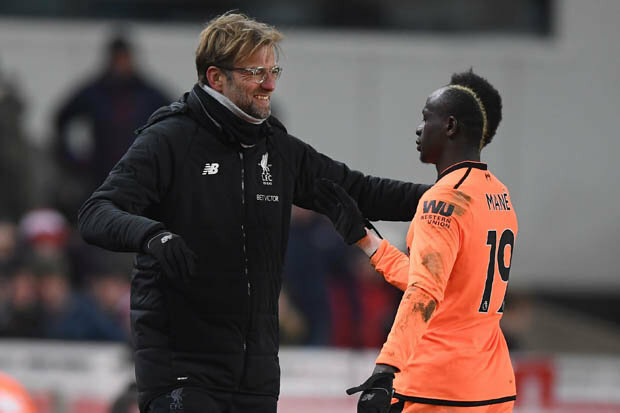 Klopp has now come out to single Mane out for praise, highlighting his overall display in the Reds massive triumph. The coach has also spoken really highly of the goalscoring exploits of the prolific Senegalese international during the 2017/18 season. And in spite of the fact Liverpool pummeled their opponents 5-0, Klopp has insisted that Porto are a “very good side”. However, the ex-Borussia Dortmund manager has revealed having a great deal of pleasure with the Premier League club’s work in Portugal. And he believes with Liverpool’s array of attacking players, they could have netted much more goals against the 2003/04 champions.